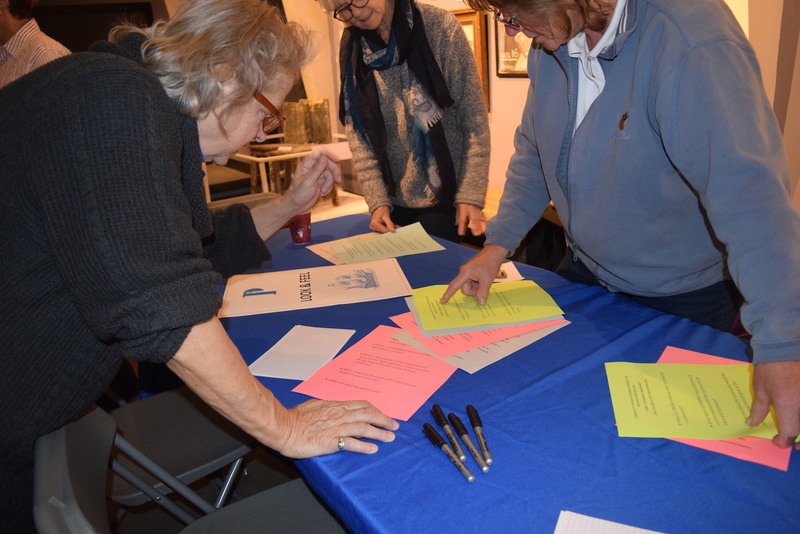 The community process for the Bradford Access Project continued on November 8, 2017, when the Pilgrim Monument and Provincetown Museum hosted a “table top” discussion of the major issues regarding the proposed incline elevator that were highlighted during the previous public forum and the membership meeting. 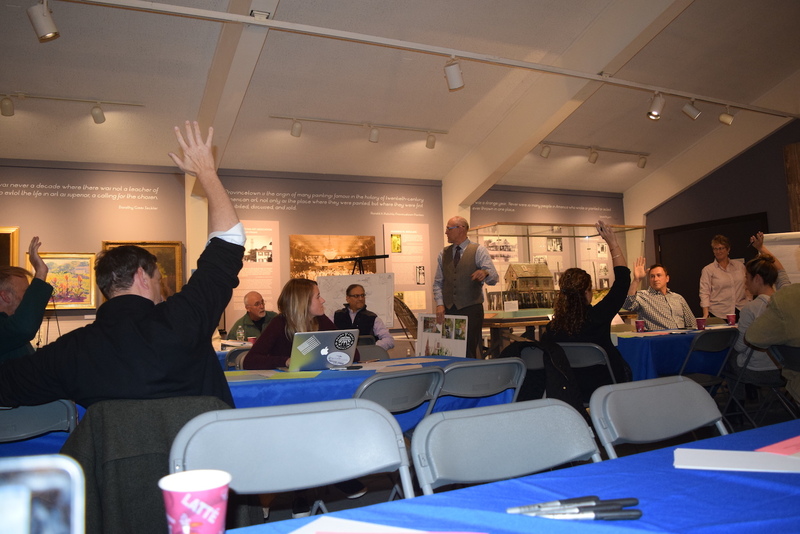 The major issues that the discussion focused on were: Look and Feel, Operations, Community Engagement, Education/History and Environmental Considerations. 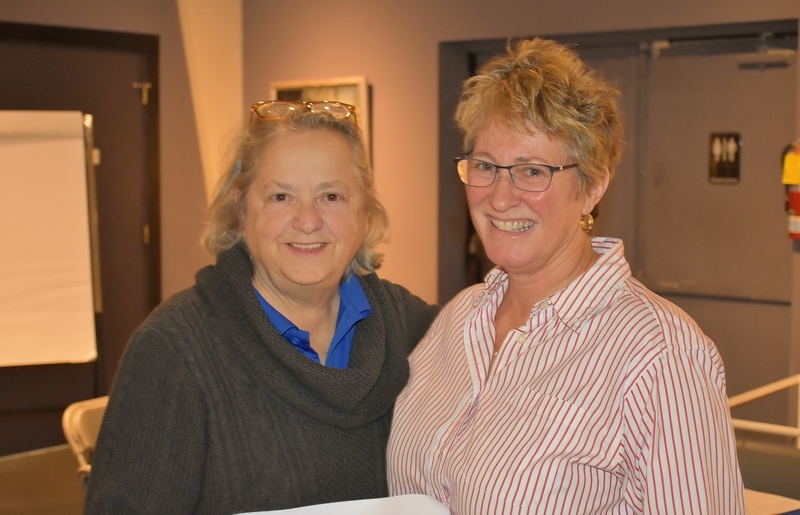 The discussion was facilitated by Michelle Crone and Sally Rose. Attendees said that they would like to see a classic look, but also one that fits in with the surroundings and allows for views going up and down the hill. The attendees also noted that the design of the waiting and landing areas should be in keeping with the surroundings. 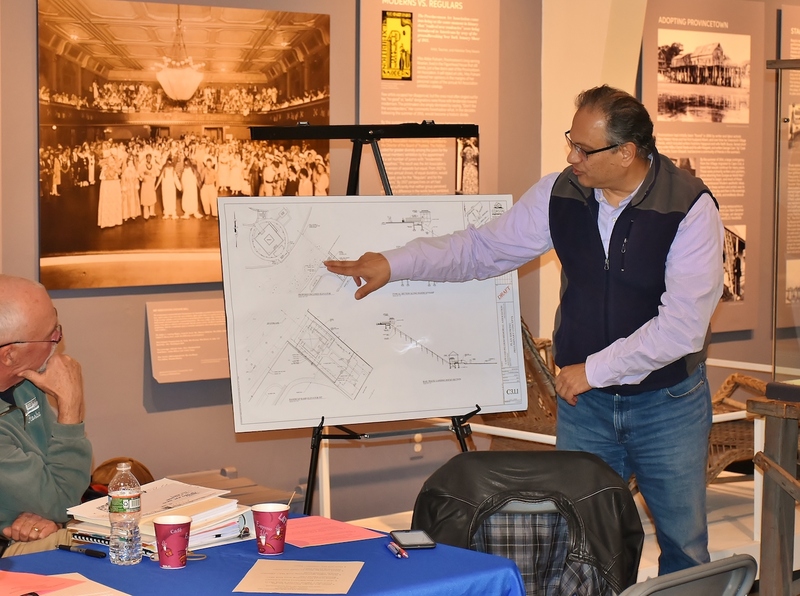 There was discussion about including educational elements at the landing and waiting areas at the Bradford Street level and ways to give visitors information about what they will see at the Monument and Museum. Discussion also included potential collaboration with school groups, installing a live camera feed both during construction and operation of the incline elevator and the use of mobile technology through an app to educate visitors. John Bolongna of Coastal Engineering is the engineering partner for the incline elevator project. Bolongna said there is an abundance of overgrowth and invasive plants on the hill and that the goal is to keep the vegetation close to the ground at the incline elevator area to not impede the tram and to allow for clearer sightlines. 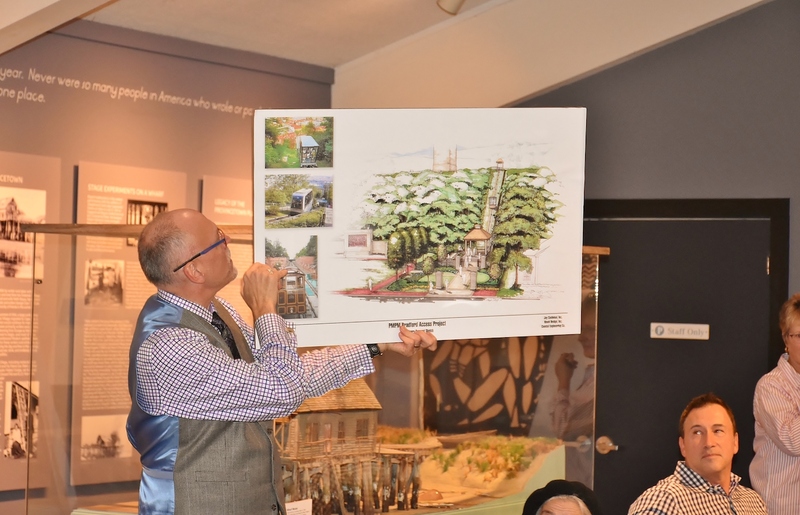 There was also discussion of ways to shelter visitors in waiting lines at the incline elevator, including the potential for a pavilion type of structure that would provide cover in foul weather. Noise concerns were also discussed and Bolonga said that the tram has a very low decibel level. 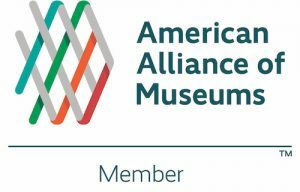 The PMPM wants to engage the community further in the project and noted that its new External Affairs Committee, led by board member John Jay Wooldridge, will be meeting soon and will come up with additional ideas for public engagement. 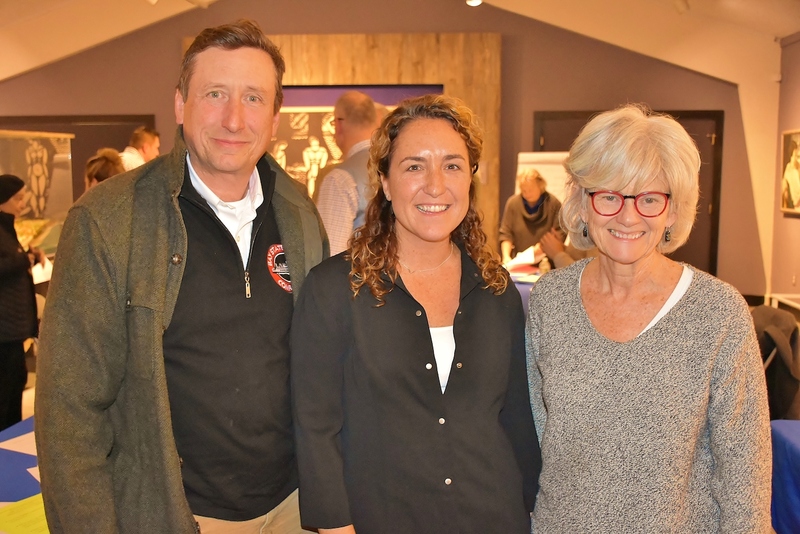 Wooldridge said that he wants to reach out to businesses in Provincetown and the Outer Cape regarding potential sponsorships for the incline elevator. 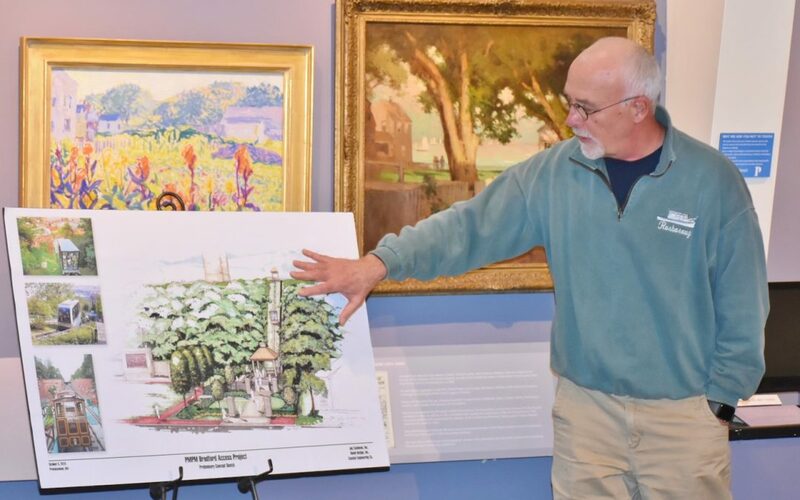 The PMPM expects to be in the permitting process with the town of Provincetown this winter, to begin construction in summer of 2018 and to have the incline elevator finished by summer of 2019, to reflect the same time line as the Bas Relief Park renovation, which is adjacet to the incline elevator project. There will be further updates and information posted on this blog throughout the coming months.